There’s a lot that goes into making the wedding cake meet the days high expectations. With so many things to consider, I wanted to sit down and get some pointers. I reached out to Michelle Doyon, one of Austin’s awesome wedding vendors and the owner of Michelle’s Patisserie. With the right knowledge, choosing your wedding cake should be a breeze! I wondered what mistakes couples make when they want Michelle’s Patisserie to turn their wedding cake dreams into reality. Michelle said, “A few mistakes I see people make are not coming in prepared and not communicating with each other before they get to the appointment. For example, sometimes a bride has ideas that she has not shared with her fiancé and then it results in a little bit of tension at the appointment. This doesn’t happen often but it sure does help when couples talk about their ideas before they come in.” Michelle suggests using Pinterest.com to get a clearer picture about what you both want in a cake. Michelle shared a great tip. “Sometimes people don’t realize that they can choose different flavors in different tiers of the cake and that’s a great way to give guests more options and have fewer leftovers.” Maximize the money you’re spending with quality items. With choices galore even your pickiest of guests will be satisfied. Of course, we had to talk about the custom cakes Michelle’s Patisserie has created too! “We love to be creative here and would really enjoy doing more cakes where clients give us creative freedom. Sometimes they stick to what’s trendy and don’t open themselves up to doing something more unique,” Michelle said. And she has been able to truly wow the clients who’ve given her freedom in bringing their sweet visions to life. Talk out your ideas with your partner before you go in for your consultation. Use Pinterest and other search engines at your disposal to give your baker (and each other) a clear idea of your direction. And most importantly, don’t get caught “in a box.” It’s YOUR day, get what you want and be creative! 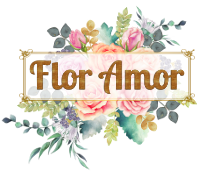 We at Flor Amor love highlighting of the vendors we have the pleasure of working with in the wedding industry. Our goal is to give you confidence when choosing awesome vendors to make your wedding dreams come true.